It’s been awhile since I’ve done a Must-Splurge post because fewer pieces are catching my eye these days! Of course to welcome the segment back, I’m featuring a pair of incredibly hot Balmain boots. I haven’t been disappointed in a thing that Olivier Rousteing has churned out yet and these boots are no exception. Crafted from red suede with a pointed-toe silhouette, gold-tone floral embroidery, and functional 3.5″ heels, how can you go wrong? Here is how you can rock the statement-making boots now. Click to shop! 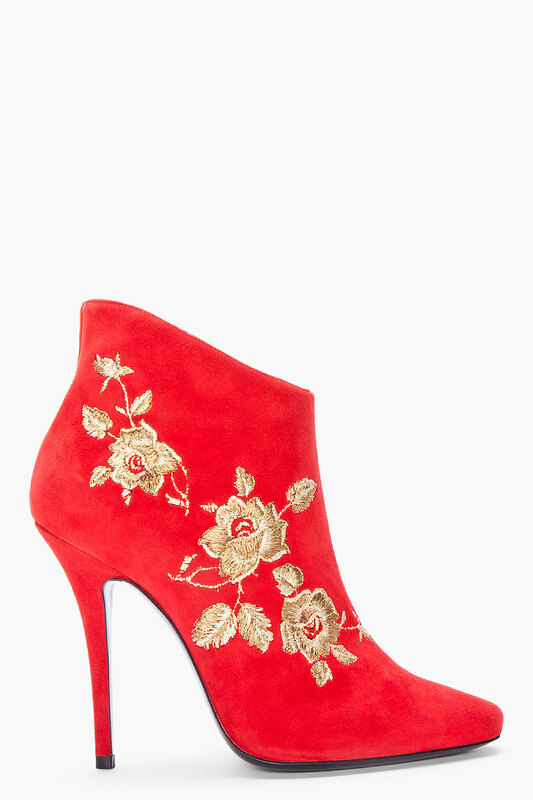 Balmain’s Red Anita Embroidered Suede Booties retail for $1525. Visit www.ssense.com to purchase and www.balmain.com for more information.